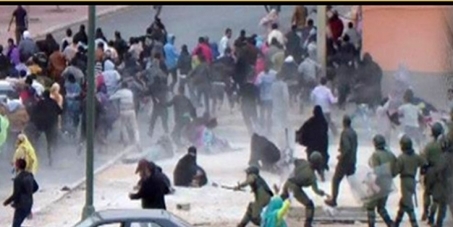 A global campaign of Western Sahara to monitor human rights to be included in MINURSO by the April 2015. This petition has been created by Abdelouahab L. and may not represent the views of the Avaaz community. There are well documented violations of human rights including, torture, false imprisonment and sexual violence perpetrated against Saharawi citizens in Moroccan occupied Western Sahara. Despite this the UN Security Council has so far failed in its duty – Under Article 73 of the Charter of the United Nations – to protect the citizens of this non self-governing territory. MINURSO remains one of only a handful of peacekeeping missions without a human rights mandate. The people of Western Sahara need independent, impartial, comprehensive and sustained monitoring of human rights in Western Sahara. The sahrawi people are convinced that your voice will put pressure the UN peacekeeping mission to enforce their mandate to monitor human rights violations in Western Sahara by April 2015. They are a people who believe strongly in the ideals of peace, justice and democracy.